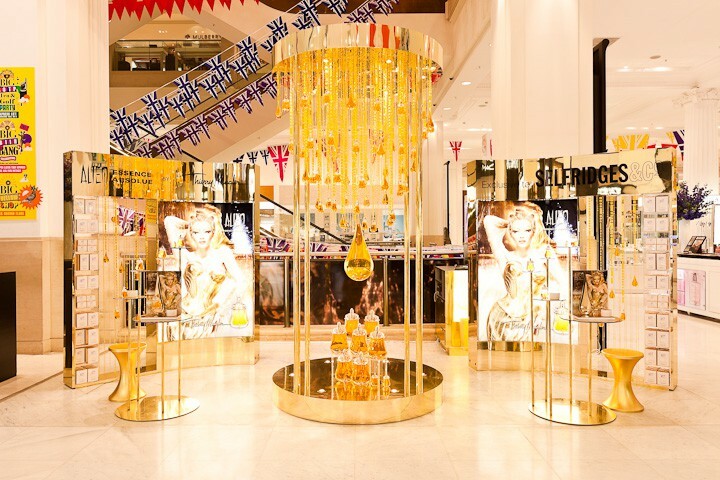 Taking design guidance from the perfume bottle and the main campaign graphic we created this stunning retail site at Selfridges W1 London. The concept was centred around a halo of light and illumination and we showcased the site around an enormous bespoke chandelier which featured large amber droplets cascading down. 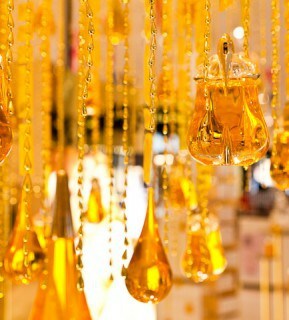 Solid cast acrylic drops in various sizes were displayed to appear to be falling before a spray finished curtain backdrop, the entire installation expertly coloured to match the fragrance. The centre-piece of the display was the one-off CNC-machined solid droplet constructed from a solid 60 kilogram cast billet of clear acrylic! Either side of the display are 2 further product displays which are set in gold and gold stools offered consultation if required. 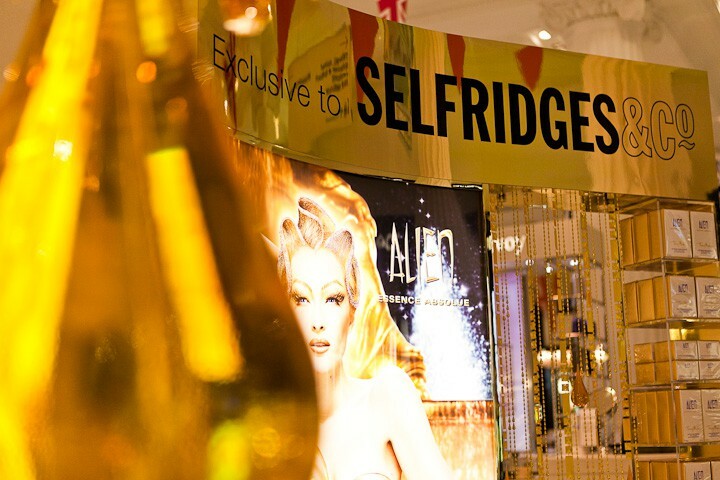 The positioning of the site couldn't be better being central to the entrance of the large beauty Hall at Selfridges. 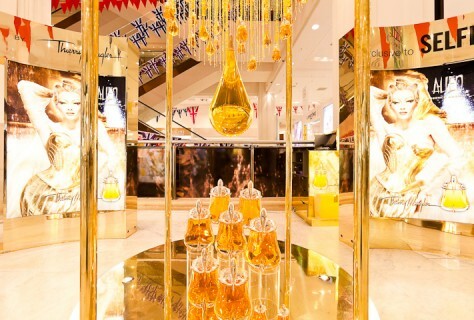 This is one of many retail sites we have worked on for Clarins Fragrance Group and its great that each one if so unique.